‘Pictures not showing in email’ is one of the most common issues faced by MS Outlook users. Other than the default configuration issues, there could be some reasons why pictures in your email are not displayed. It can be some email program settings, incompatible file formats, and the way images are attached to the email. Though blocking pictures makes computers more secure, it is not desirable to block images from trusted sources. This is why MS Outlook gives users a provision to unblock pictures that won’t harm the system. For a single message, you can unblock images simply by clicking Download Pictures on the InfoBar at the top of the message. If you are doing the above step while previewing the message, the image will be saved automatically and display when you open the message next time. But with an open message, you have to save the message if you want it to be displayed when you open the message next time. Go to the File tab, click Options, and select Trust Center. 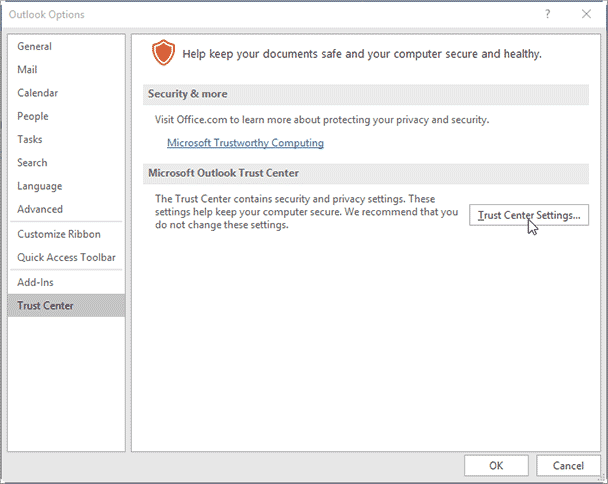 Click Trust Center Settings, under the section Microsoft Outlook Trust Center. 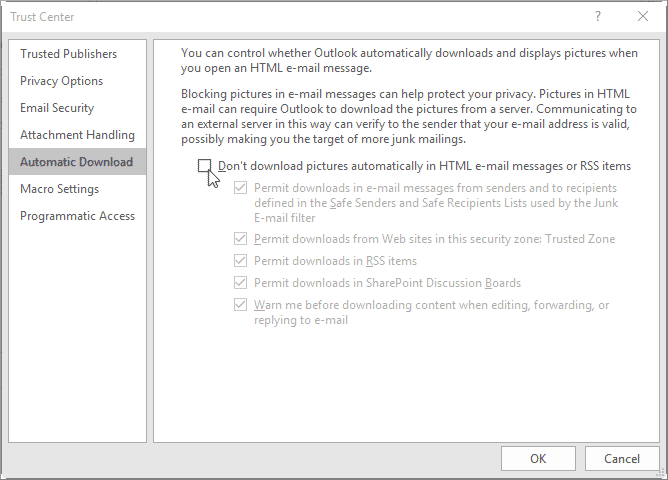 Clear the checkbox against Don’t download pictures automatically in HTML e-mail messages or RSS items. Go to the Tools menu, and click Trust Center>Automatic Download. Clear the checkbox placed in front of Don’t download pictures automatically in HTML e-mail messages or RSS items. In the open message received from a trusted source and domain, right-click the blocked item. Click Add the Sender to Safe Senders List or Add the XYZ@domain to Safe Senders List. Hope the information shared in the post helps you deal with the problem of ‘Images not Displayed’ efficiently and effectively. We have discussed manual methods with the help of which you can solve this problem, but a better way to overcome it is by using a third-party tool. Kernel for Outlook PST repair is an outstanding tool that helps you to deal with all the issues related to your PSTs. The tool successfully recovers damaged or corrupted PST file with no size limitation. The tool is compatible with all versions of Outlook, Windows and recovers even password-protected, encrypted and deleted files. It can recover and save all items with their attachments (images, documents, etc.) in their original hierarchy. How to Fix “Unable to Open Outlook Attachment” Issue?